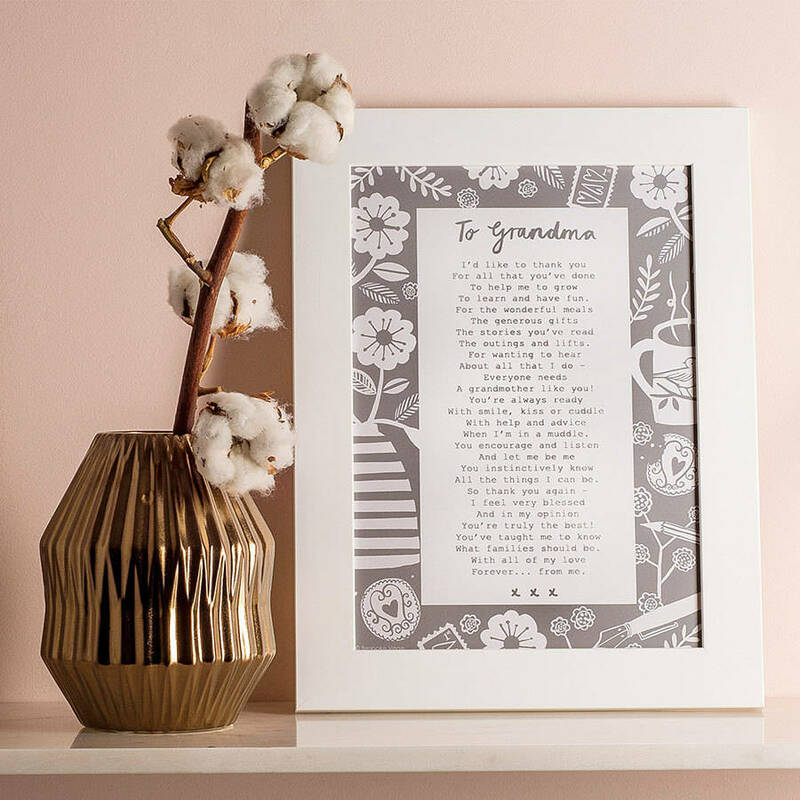 A poem for Grandma from a grandchild. Choose your wording from: Grandma, Granny, Nanny, Nan, Gran, Nana, and Nanny. 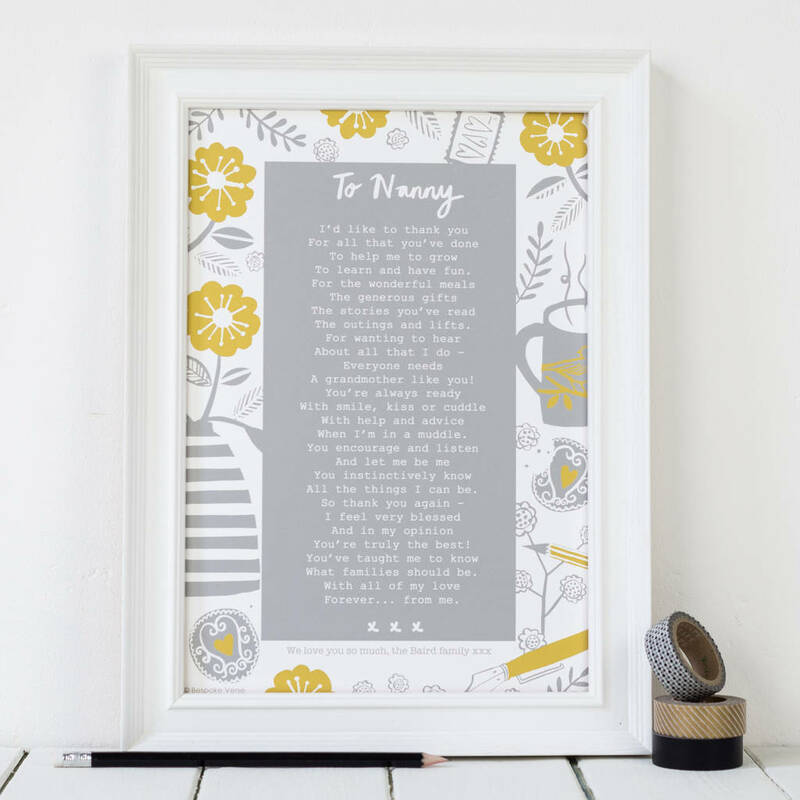 This moving and heartfelt poem makes the perfect present for Grandma on Christmas, Mother's Day or a Birthday. With matching 'Letter to Grandfather', 'Letter to Grandparents' and letters to mum and dad: see 'Seller's Other Items'. 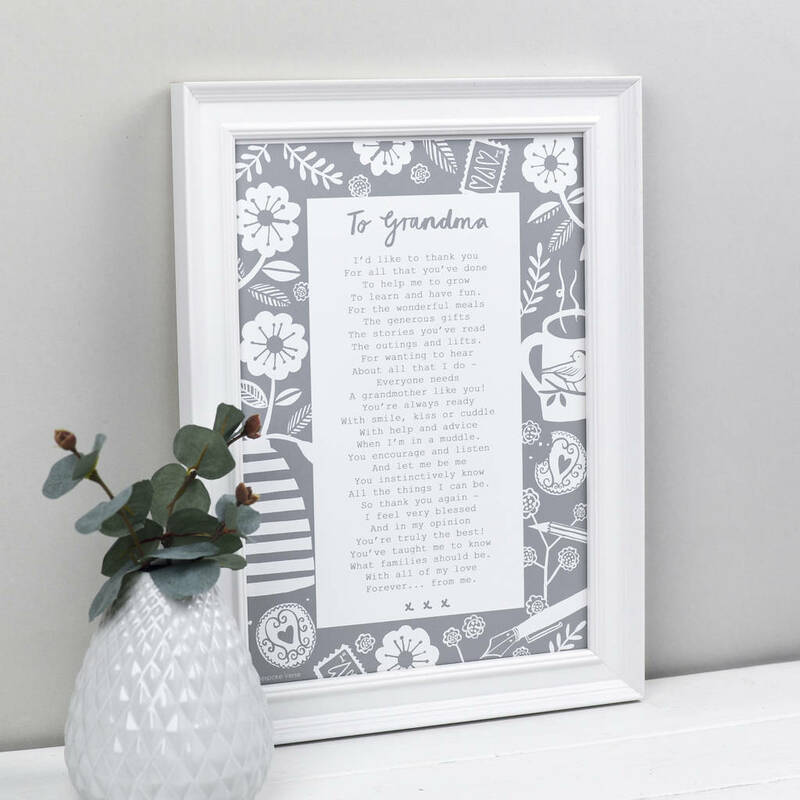 The poem was written by Bespoke Verse poet Joanna Miller, a Mum of three small children who love writing letters to Granny! The design is by Stephanie Cole. The print comes unframed, but we'd be happy to frame it for you. See below for information. Two colours are available: Grey & White, Mustard & Grey. Each print has a 2mm white border. To learn and have fun. When I’m in a muddle. All the things I can be. For an extra fee we can frame the print for you. The lightweight wooden frames we use are stepped white or smooth white. Every frame has a hook for wall hanging. The front is Perspex. The print is H30 x W21cm (A4) and when framed is approx H33 x W24 x D3cm.